Few world regions today are of more pressing social and political interest than the Middle East: hardly a day has passed in the last decade without events there making global news. Understanding the region has never been more important, yet the field of Middle East studies in the United States is in flux, enmeshed in ongoing controversies about the relationship between knowledge and power, the role of the federal government at universities, and ways of knowing “other” cultures and places. Assembling a wide range of scholars immersed in the transformations of their disciplines and the study of this world region, Middle East Studies for the New Millennium explores the big-picture issues affecting the field, from the geopolitics of knowledge production to structural changes in the university to broader political and public contexts. Tracing the development of the field from the early days of the American university to the “Islamophobia” of the present day, this book explores Middle East studies as a discipline and, more generally, its impact on the social sciences and academia. Topics include how different disciplines engage with Middle East scholars, how American universities teach Middle East studies and related fields, and the relationship between scholarship and U.S.-Arab relations, among others. Middle East Studies for the New Millennium presents a comprehensive, authoritative overview of how this crucial field of academic inquiry came to be and where it is going next. 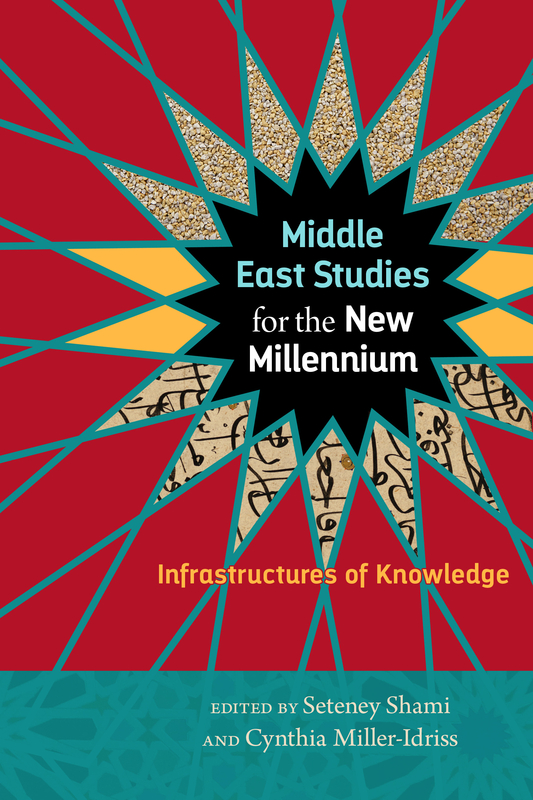 Middle East Studies for the New Millennium: Infrastructures of Knowledge, eds. Seteney Shami and Cynthia Miller-Idriss (New York University Press/Social Science Research Council, November 2016), http://nyupress.org/books/9781479827787/.